This Brooklyn townhouse was converted from a multi-family brownstone into a single-family residence, adding a new two-story structure that extends the living spaces towards the rear yard with an expanded kitchen, master bedroom, and terrace. 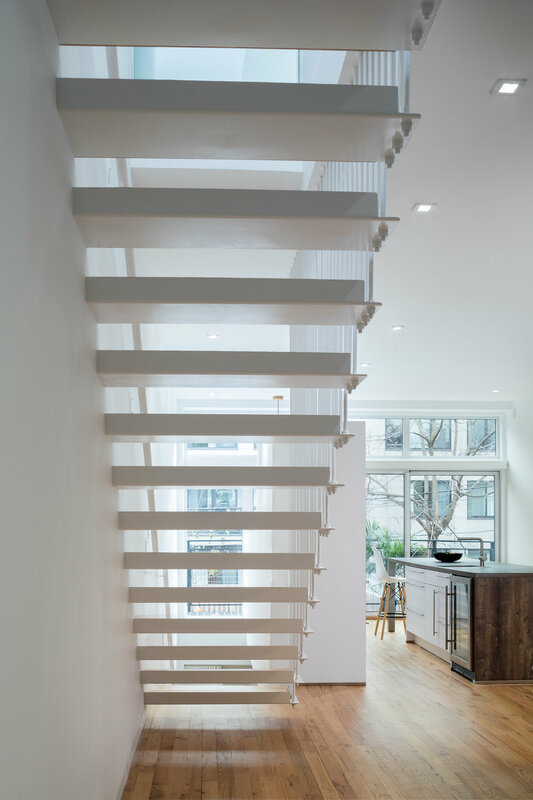 Inside, a new steel and wood stair brings light deep into the interior and allows continuous visual access to the exterior. A one-story structure was removed from the rear yard to create more open space and improve views from the interior. An outdoor play area featuring local grasses and shade trees was designed in conjunction with a local landscape architect. STRUCTURAL ENGINEER: Old Structures Engineering, P.C.